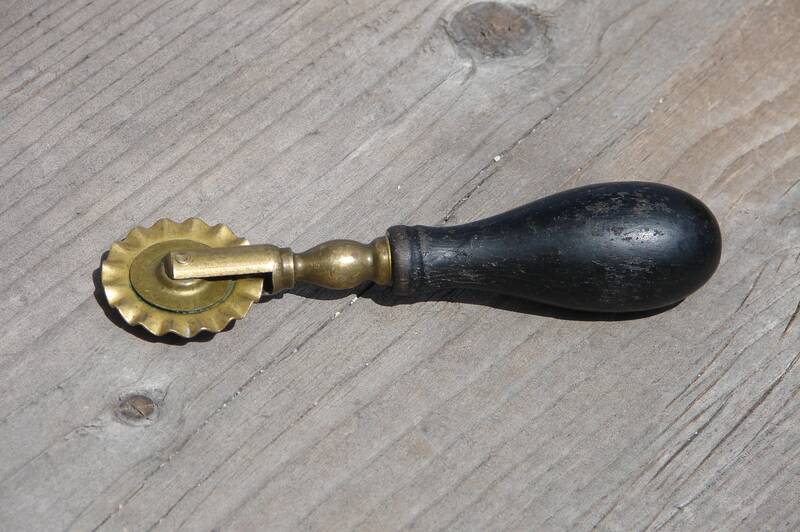 We are pleased to offer this dandy little antique pie crimper. I am honestly unsure of the vintage. I will include all the information I can, to help answer any questions you may have. 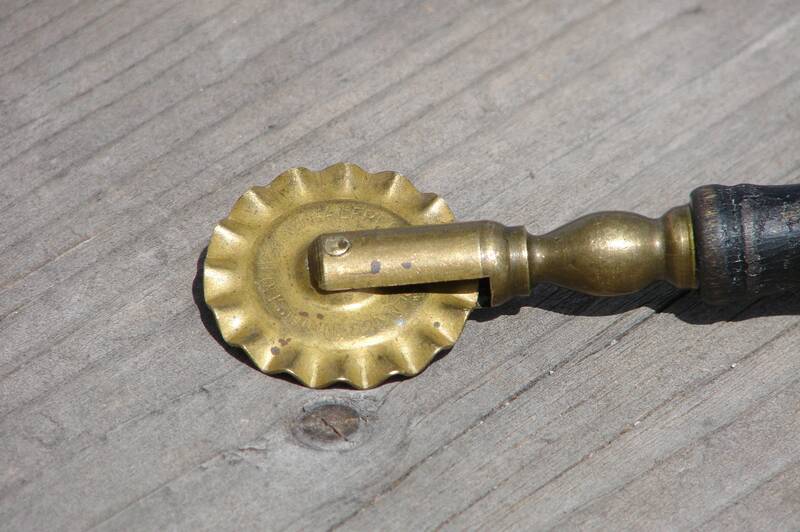 All in all its a serviceable and attractive kitchen tool, in decent collectible condition. The entire piece is about four and one-quarter inches long. 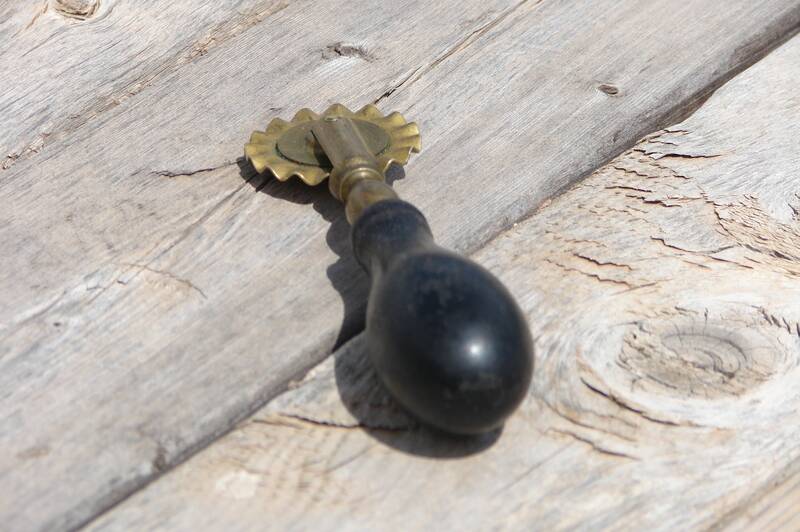 The black painted wood handle is about two and three-quarters inches long. 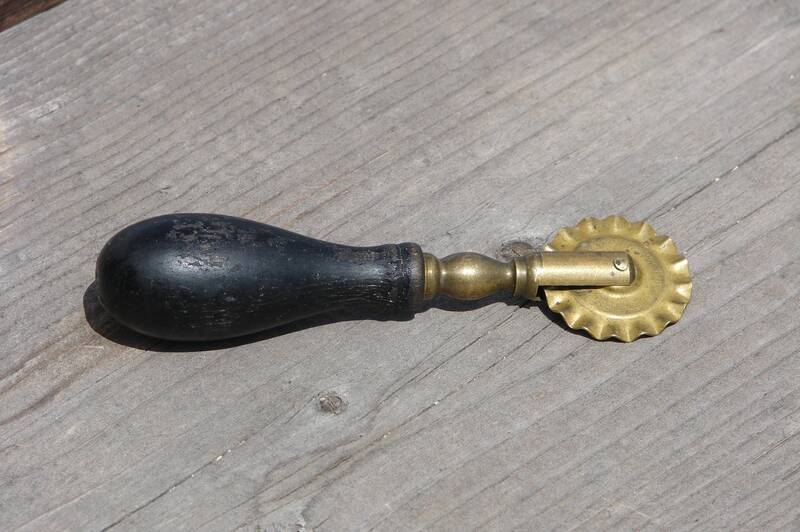 The neatly turned brass shank is about one and three-quarters inches long. The crimping wheel is about one and one-quarter inches in diameter. 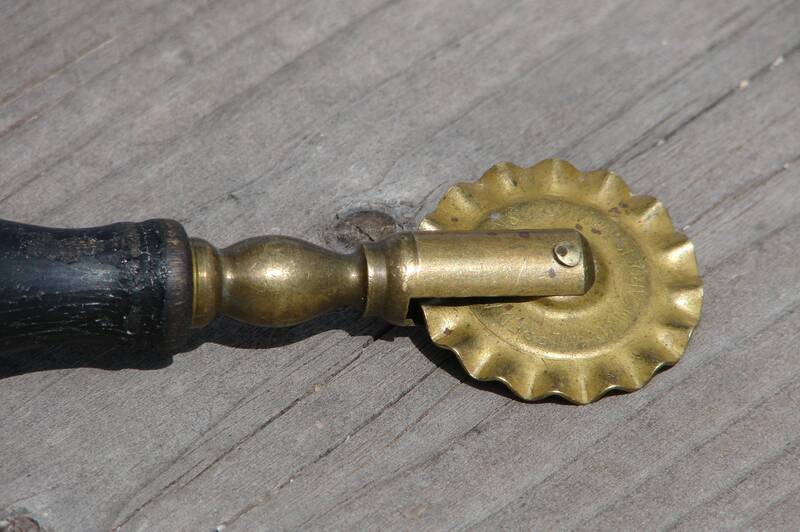 Marked "Alfred Andresen & Co. Minneapolis Minn."
I believe for the collector of antique or vintage kitchen items, this piece should hold a lot of appeal.